When your prized vehicle needs service or repairs, turn to our service centers near Lewiston, ME. 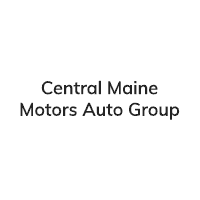 At Central Maine Motors Auto Group, we take pride in each one of our specialized service centers. We have a Chrysler, Dodge, Jeep, Ram and FIAT® service center, a Toyota service center and a Buick and Chevy service center, all located right here in Waterville, ME. No matter which of these three locations you select, know that a team of certified experts will be working on your car and ensuring it’s performing at its best. Whether you’re coming in for your first routine maintenance visit or you’re looking for collision repairs, Central Maine Motors Auto Group has you completely covered. Each of our service centers can handle all your oil changes, tire rotations and battery checks easily. Need brake service near Lewiston? We have a team of experts ready to check out your issue. Need engine repairs in Waterville? We’ll take a peek under the hood and diagnose your engine trouble quickly. Schedule your service appointment at one of our service centers near Lewiston, ME, today to get started.